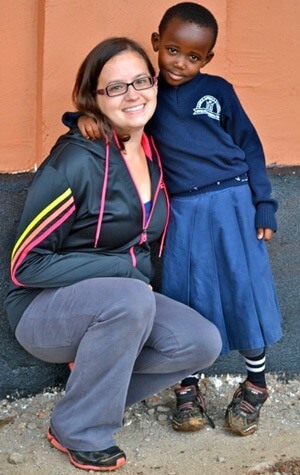 New NIU alumna Lucia Hoffman and Caren, a pre-school student who lives at the Amka Afrika hostel. Lucia Hoffman could have done her student teaching in the suburbs or in Chicago. She chose instead an eight-week internship at Amka Afrika School in Babati, Tanzania, during January and February 2014. An early childhood major in the NIU College of Education, Hoffman worked with her Tanzanian co-teacher Paschalina and 25 pre-schoolers in an English-language school where most of the 3- and 4-year-olds spoke only KiSwahili. Trained to assess students’ learning and to recognize the culture and knowledge they bring to school, Hoffman discovered that some of her students were far ahead, and she arranged to move them into the next class. Many of the others, however, could recite the alphabet but did not know the letters if they were not in A-Z order. By the end of February, most of Hoffman’s students could accurately identify at least half the alphabet and were learning the letter sounds. Hoffman introduced a number of innovations to her class, some of which are commonplace in U.S. early childhood programs but not in Babati. These included a schedule that included lots of “big muscle” time, indoors and out; a daily story-time when she read books to the class and the children talked about the stories; learning colors; special education techniques; and handwriting as a way to learn letters. 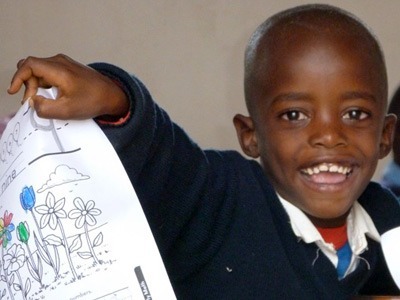 “One huge challenge was making my own learning materials. I could plan a lesson, but then I had to design and copy worksheets and find supplies,” Hoffman said. Hoffman credited her co-teacher, Paschalina, with teaching her essential perspectives such as values in the Tanzanian culture that affected learning and a total commitment to the children. She was also fortunate to live with an American hostess who was also her onsite supervisor in a house with electricity and, sometimes, running water. Hoffman’s NIU supervisor, Maylan Dunn-Kenney, said that international student teaching is unusual for NIU students. A veteran of teaching in Africa herself, Dunn-Kenney took NIU instructors to Kenya to deliver professional development for local teachers in a project organized by the late Moses Mutuku. 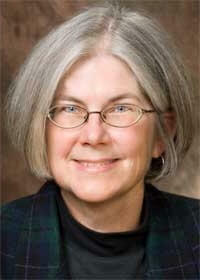 Hoffman recommends international student teaching. A May 2014 graduate of NIU, Hoffman now helps to support a scholarship for Caren, a pre-school student who lives at the Amka Afrika hostel. For information about Amka Afrika School, contact Marilyn Bellert of the NIU Center for P-20 Engagement at mbellert@niu.edu.